It looks like the Chicago Cubs are indeed going ahead with their long-rumored plan to launch their own regional sports network rather than renewing with NBC Sports Chicago, and it’s now come out (via Jeff Agrest of The Chicago Sun-Times) that they’ll be teaming up with Sinclair Broadcasting for this new “Marquee” network. But that RSN will be for them alone. Both Agrest and Bruce Levine of 670 The Score report that the White Sox, Bulls and Blackhawks have signed new deals with NBC Sports Chicago, with Levine (who broke the news of that return) adding that the new deal will see equal equity between those three teams and NBC. The current deal has those three teams, the Cubs, and NBC all with 20 percent stakes in the network. So the Cubs’ share is presumably being sold (at an unspecified price) and distributed amongst the other parties. It’s notable that this isn’t going to lead to immediate change. 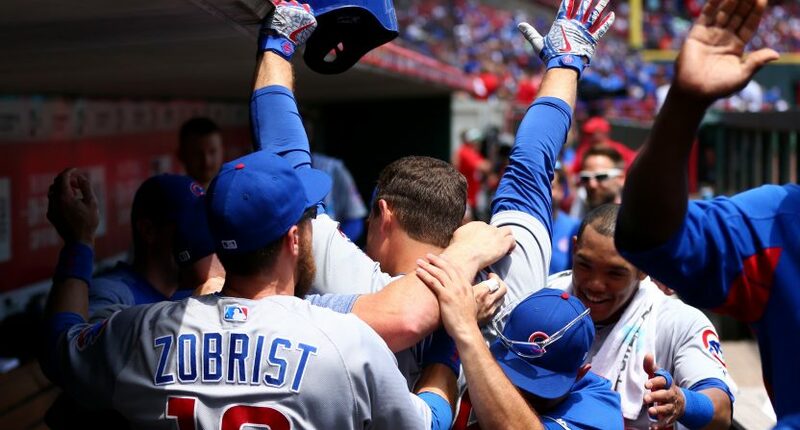 NBC Sports Chicago still has the rights to the Cubs through the end of the 2019 MLB season in October, so the Cubs/Sinclair venture won’t start next year. In fact, Levine’s piece notes that it’s likely to begin in February 2020 with spring training. (Update: And it’s apparently up for debate if the Cubs are even going to partner with Sinclair; Levine added Tuesday night that the team’s denying they have a deal there, but industry sources cite Sinclair as a “frontrunner.”) So for next year at least, the broadcast status quo should be largely the same. But after that, this is going to be a pretty significant landscape shakeup. There’s some risk ahead for both the Cubs and for the other teams. A RSN based on only a single team can be a tough sell, as the Dodgers have found out with their SportsNet LA bid. Granted, there was some illegal collusion there, and that won’t necessarily be the case for the Cubs, but even if AT&T and DirecTV (before AT&T’s acquisition of the latter) hadn’t decided to both avoid SportsNet LA, it still wouldn’t have been the easiest thing to distribute. And while the Cubs are highly popular (especially given their success at the moment), a RSN with only one MLB team’s games has some challenges, particularly if that team runs into on-field issues. If the Cubs take a nosedive, “Marquis” might particularly suffer. But there’s also potential danger ahead for these other teams. And it’s interesting that they all held the line on staying with NBC instead of jumping to the Cubs’ new venture. The Cubs are quite probably the most important team in the market right now from a RSN standpoint (there’s an argument for the Bears in terms of overall popularity, but NFL teams don’t have much to offer a RSN given their national broadcast deals), and being a second banana on their network might have held some appeal. Of course, the Bulls and White Sox are both owned by Jerry Reinsdorf, so one franchise is probably not going without the other, and the agreement they have with NBC Sports Chicago seems to work all right for them. But it’s perhaps particularly notable that the Blackhawks didn’t jump; current team owner Rocky Wirtz has long gotten along with Reinsdorf, so maybe there’s some logic to them staying too, but there’s an argument that they might have gained more prominence as the second team on a Cubs’ network instead of as one of three teams on NBC Sports Chicago. And for all these teams and NBC Sports Chicago, there’s the question of how strong their channel will be without a key draw like the Cubs. Meanwhile, for the Cubs, it’s certainly interesting that they’ve apparently teamed up with Sinclair on this one. (Maybe they haven’t officially signed yet, as per that latest Levine report, but it seems likely Sinclair will be involved here.) Sinclair has significant experience in the sports world thanks to their ownership interest in Stadium (which came out of the ashes of their old American Sports Network), and they’ve gone after local sports rights before, as in their attempted (ultimately nixed by regulators) purchase of Tribune Media (which included WGN, which carried some games from the Cubs, White Sox, Bulls and Blackhawks). They’re also one of the rumored bidders for at least some of the Fox regional sports networks. And partnering with Sinclair has a lot of advantages for the Cubs as compared to going it alone; Sinclair has experience with carriage negotiations and with sports production, so that’s a way to help avoid some challenges that have hit, say, the Pac-12 Networks. But Sinclair’s conservative slant has brought it lots of criticism, and while the Ricketts family (the Cubs’ owners, who are also prominent supporters of U.S. president Donald Trump) likely don’t have an issue with that, some potential viewers may not love the connections here. So if that partnership does come to pass, it will be with some backlash. We’ll see how this plays out for the various Chicago teams and their associated regional networks. Maybe ditching the Cubs will mean that the White Sox, Bulls and Blackhawks will get more attention on NBC Sports Chicago, and maybe that will work out well for them, or maybe they’ll hit carriage issues now that their network no longer includes that team. Maybe going it alone with Sinclair will work out great for the Cubs; if they keep playing well, there’s certainly a good chance of that, but if they don’t, there’s the potential for their network to go into a slide. (And regardless of how well the Cubs are doing, a network solely devoted to them is going to be a tough sell from November through January.) At any rate, it’s interesting to see the gambles everyone is taking here, and it will be interesting to see how those all pan out.